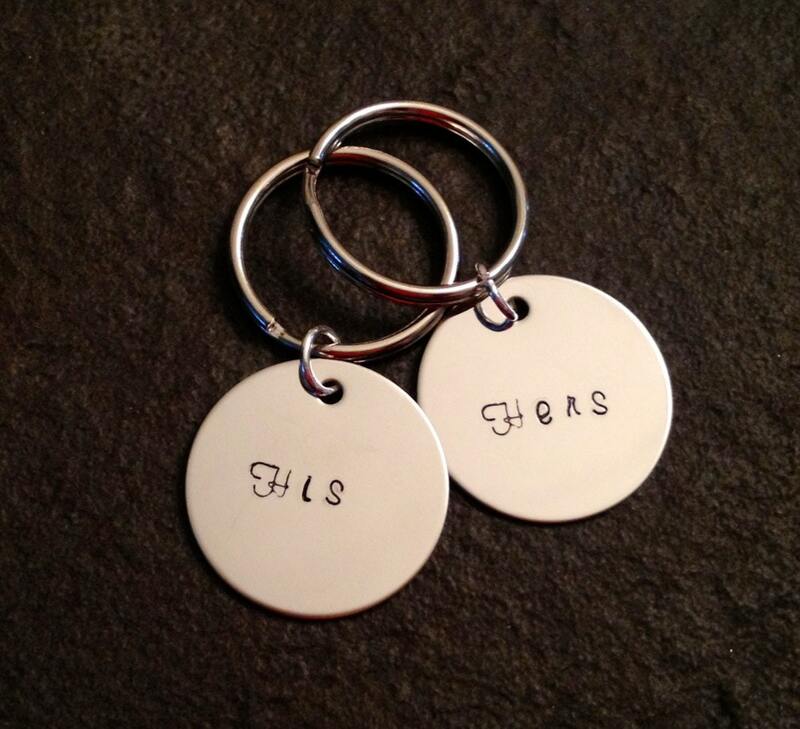 Set of two personalized keychains. Feel free to personalize them with any name you'd like! Shown as "Mr and Mrs". Please out your preference in the "notes to seller" box during checkout. Made on a 1" stainless steel disk and shown in a Murray hill font.